Part 2/3 of the tileset commision for OpenGameArt.org. 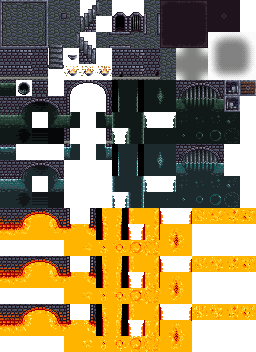 A 16x16 sewer tileset. 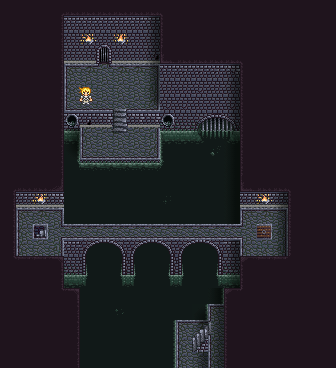 The guy in this preview is not part of the tileset but from Antifarea's 16x18 RPG sprites. Great work on all three dungeon, desert, cave tilesets! I use these tiles too! 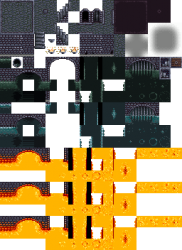 The 3rd and 4th areas of my game 42's Orb of Valhalla are a sewer and lava area.